Salary deferral means taking some of your income and putting it aside for later. You are setting aside some of your salary for later use. The good news is you also get to defer the taxes. The money you set aside is saved for your retirement years when your taxable income is likely to be lower. The term salary deferral is most commonly used to describe contributions to a 401(k) plan or 403(b) plan. However, contributions to a deferred comp plan are also a form of salary deferral. Here's how salary deferral and 401(k) deferral contributions work. A 401(k) plan is a retirement plan that may be offered by your employer. 401(k) plans are regulated by the tax code and thus have rules that must be followed. These rules allow you to avoid paying tax on some of your salary today by putting funds into the plan. When you do this you won’t pay income taxes on the 401(k) deferral amount in the current tax year. Instead, you'll pay income taxes later when you withdraw from the plan. When you don't pay tax on the amount contributed these are called tax-deferred contributions or pre-tax contributions. Some plans also allow you to make after-tax contributions. Let’s say you defer $100 a month of your salary into an employer retirement plan. That’s $1,200 over a year. Assume you are in the 25% tax bracket. Normally you would pay $300 of tax on that $1,200 of earnings, leaving you $900 to take home and put in a savings account. Instead, when you contribute this $1,200 as a 401(k) deferral, you do not pay taxes on it. The full $1,200 goes into the plan and is not counted as taxable income that year. You got to save money that you would have had to pay to the IRS. You will pay taxes when you withdraw the money, and naturally, there are restrictions as to when you can take withdrawals. For example, penalty taxes apply if you withdraw it before you reach age 59 ½. There is a limit to how much of your salary you can defer into the plan. Different salary deferral limits apply depending on the type of plan. For 401(k) plans, in 2016, if you are under age 50, the most you can contribute as a 401(k) deferral is $18,000. If you're age 50 or older, that limit goes up to $24,000. The sooner you start saving money for your future, the easier it will be to reach a minimum level of financial security. No matter how little, or how much you make, you should always live on less than you make, and find a way to save some of your earnings. And the more you make, the more you'll need to contribute to your 401(k) and other savings vehicles in order to maintain your standard of living in retirement. Putting aside money right from your paycheck through salary deferral contributions is an easy and convenient way to save. In addition, sometimes your employer will offer you a matching contribution to your retirement plan. This means if you defer some of your salary, they contribute some of their own money to match. If you are self-employed, you can set up your own plan and defer some of your own salary by using a SEP IRA, Individual 401(k), or SIMPLE IRA plan. The higher your tax bracket, the more it can make sense to make pre-tax salary deferral contributions. If you are in a low tax bracket or pay no tax because you have many deductions, then after-tax salary deferrals to a designated Roth 401(k) account may be better than pre-tax contributions. If you are a low-income worker or under the age of 50, ask your employer if they allow you to make after-tax Roth 401(k) contributions. When Is It Not a Good Idea to Defer Salary? Most plans that allow you the ability to make salary deferral contributions also have restrictions on when and how you can access your money. Salary deferral contributions are a great way to start accumulating a nest egg because the money is restricted from your daily use, but you also need to have access to savings that are not restricted. 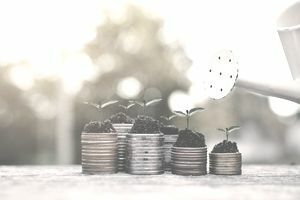 If you do not have three to six-months worth of living expenses saved in a bank savings account or another easily accessible account, you may want to hold off on salary deferral contributions and work on building up regular savings. Accessible savings serves as an emergency fund for those "unexpected bills" or changes in plans.